Product prices and availability are accurate as of 2019-04-18 14:43:59 EDT and are subject to change. Any price and availability information displayed on http://www.amazon.com/ at the time of purchase will apply to the purchase of this product. 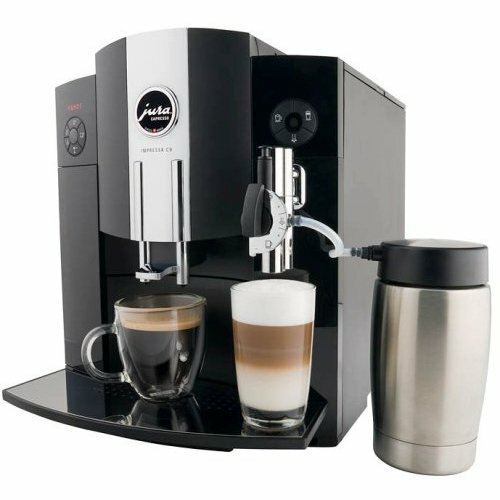 With an exceptionally compact design and user-friendly front-panel controls, this automatic coffee-and-espresso center creates cafe-quality coffee drinks without ever having to move the cup. Simply push a preprogrammed beverage button for one or two coffees, one or two espressos, cappuccino, milk, or hot water. The countertop appliance comes equipped with an insulated 14-ounce thermal stainless-steel milk container, which stays right next to the machine and keeps cold milk cold for up to eight hours. 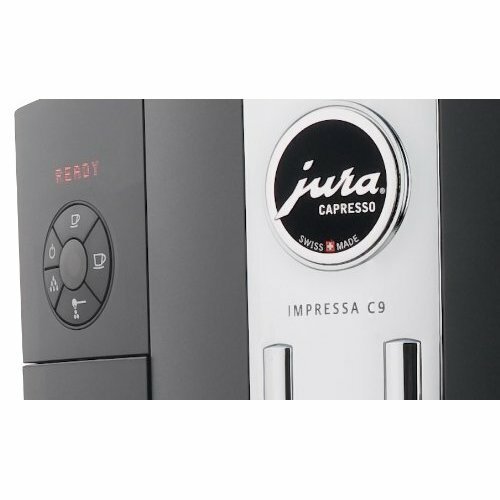 The machine will steam and froth the milk; grind, tamp, and high-pressure brew coffee or espresso; then dispense automatically into the cup. Its commercial-grade conical burr grinder offers six fineness settings for any type of bean--from light to dark roasts, while a separate funnel for pre-ground coffee allows for making no-hassle decaf or flavored coffee drinks. 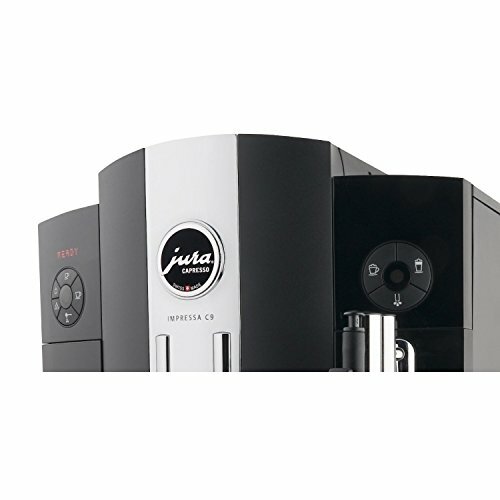 The unit features an 18-bar power pump with a 1450-watt stainless-steel-lined ThermoBlock heating system, and its two-step pre-infusion cycle moistens and conditions ground coffee for maximum flavor extraction with perfect crema topping. For added convenience, the appliance offers easy-to-use programming functions. Choose from two temperature settings, three strength levels, and volume--one or two cups at a time, from 1 to a full 16 ounces. Turn the rotary dial to make changes during brewing without changing the programmed setting. 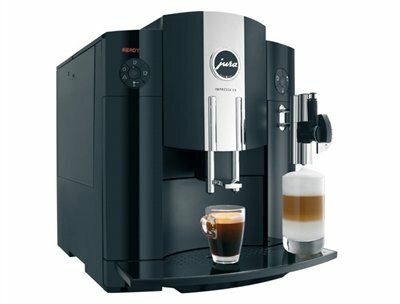 Plus, the steam output can be set to a certain time for filling cup after cup with the exact same amount of hot steamed or frothed milk, which means no more wasted milk. Even more, selecting from "continuous-on" or "auto-off" from one half-hour to nine hours in one-hour increments makes it possible for the unit to turn on at the programmed time and ensures it stays on for as long as it's needed. A bright 10-digit LED display dialog system gives short, simple instructions like "ready", "heating", "fill water", and "clean unit".